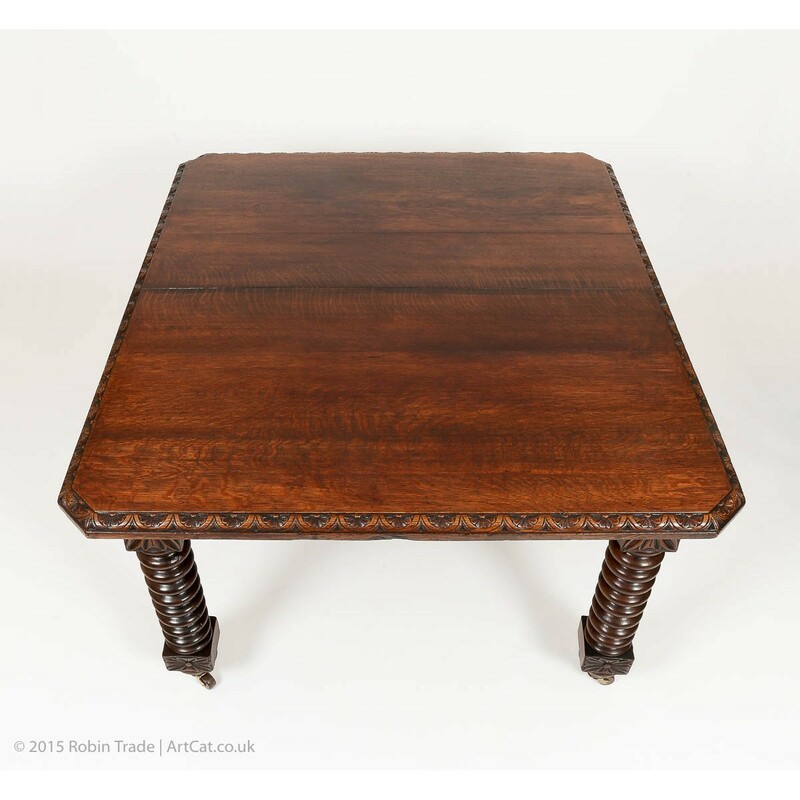 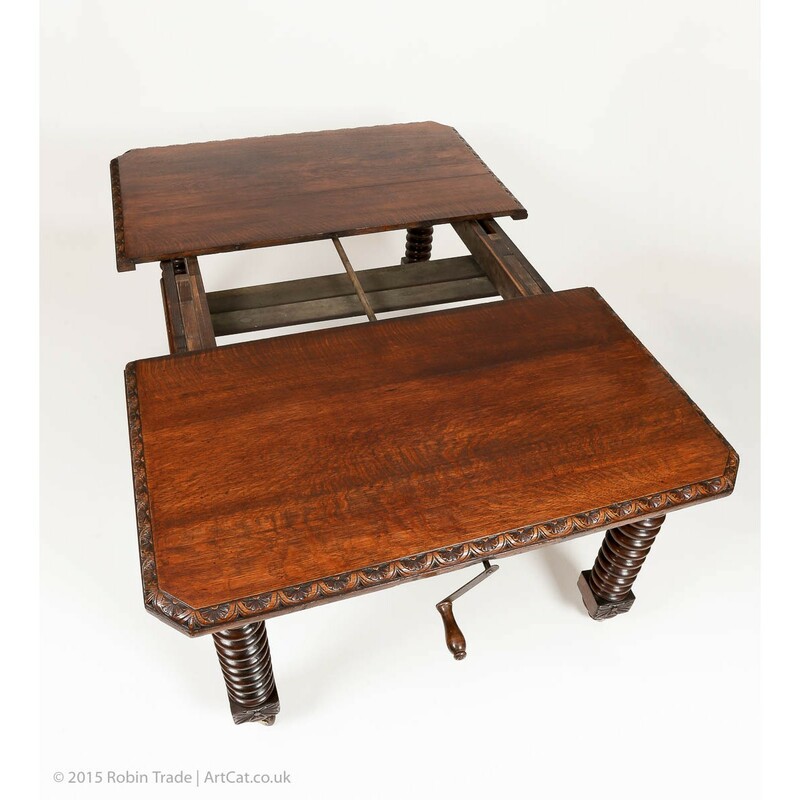 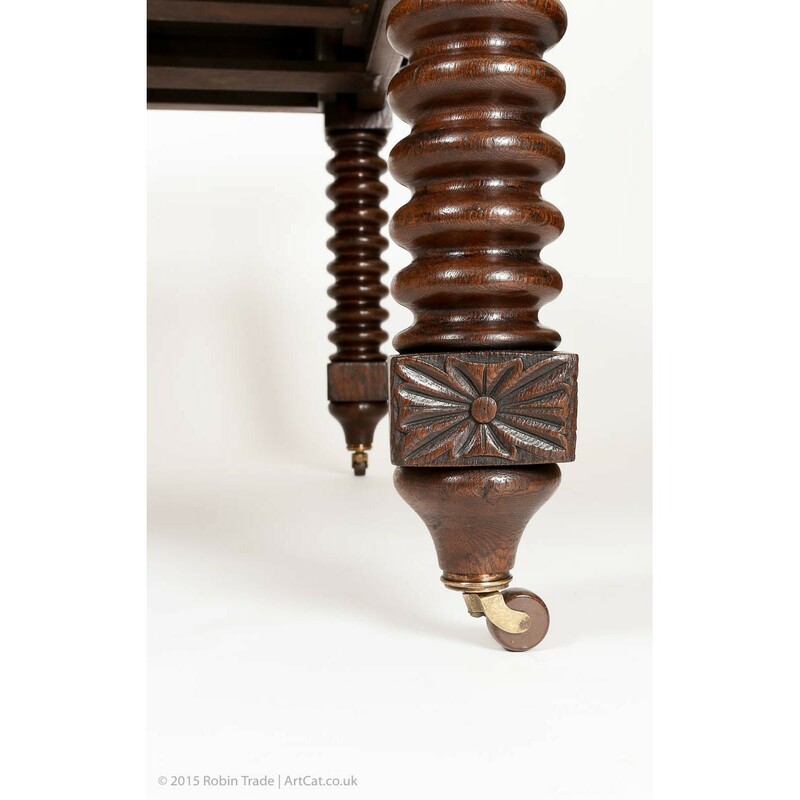 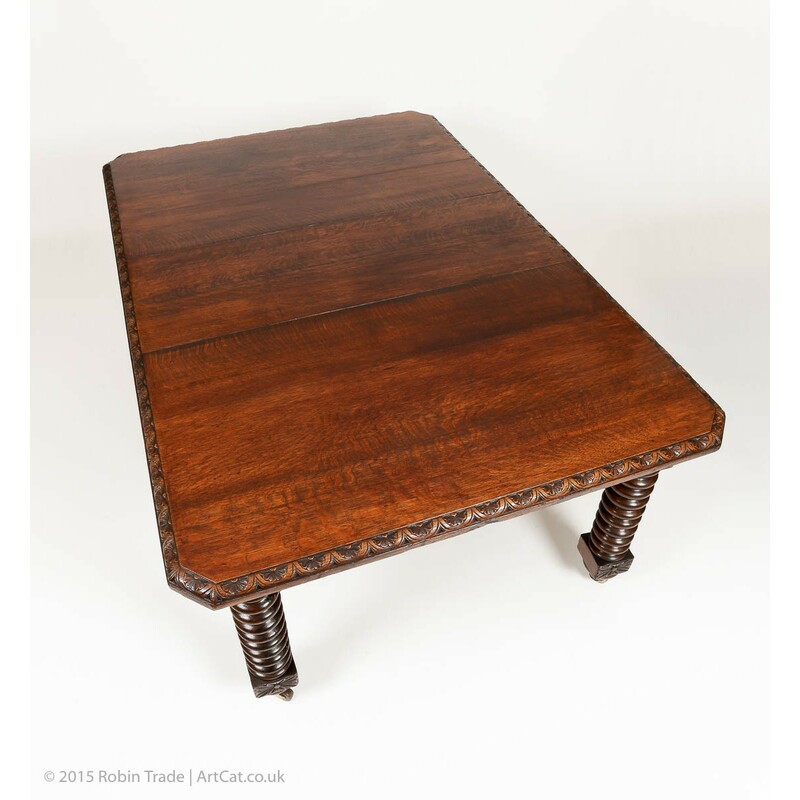 Beautiful large English Victorian extending table (extends by means of a winding mechanism that opens the table in the centre and the leaf can be inserted) very heavy (table top and legs are solid oak) on original castors with 4 floor protectors. 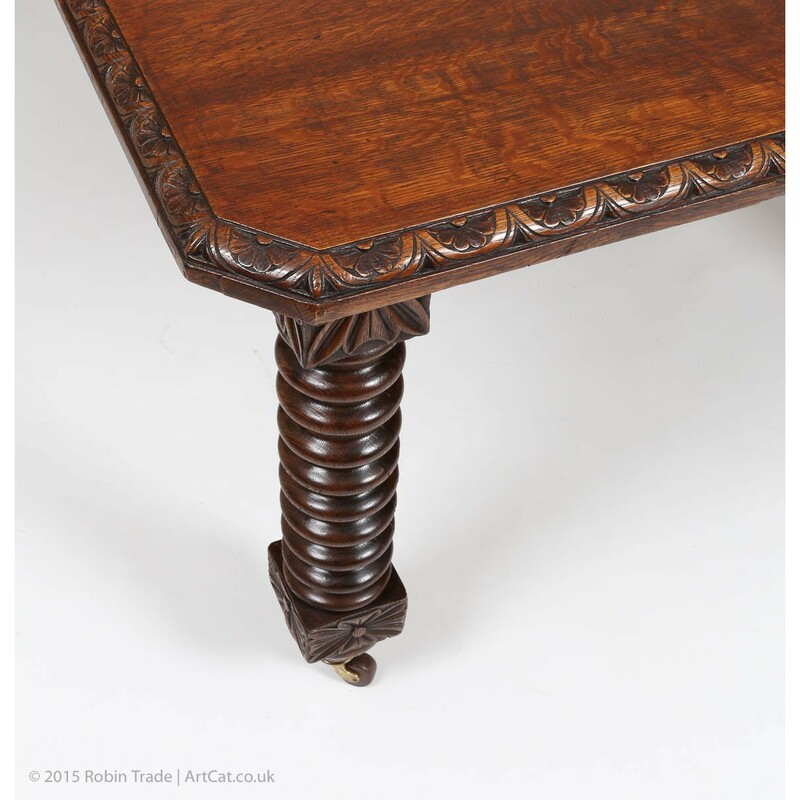 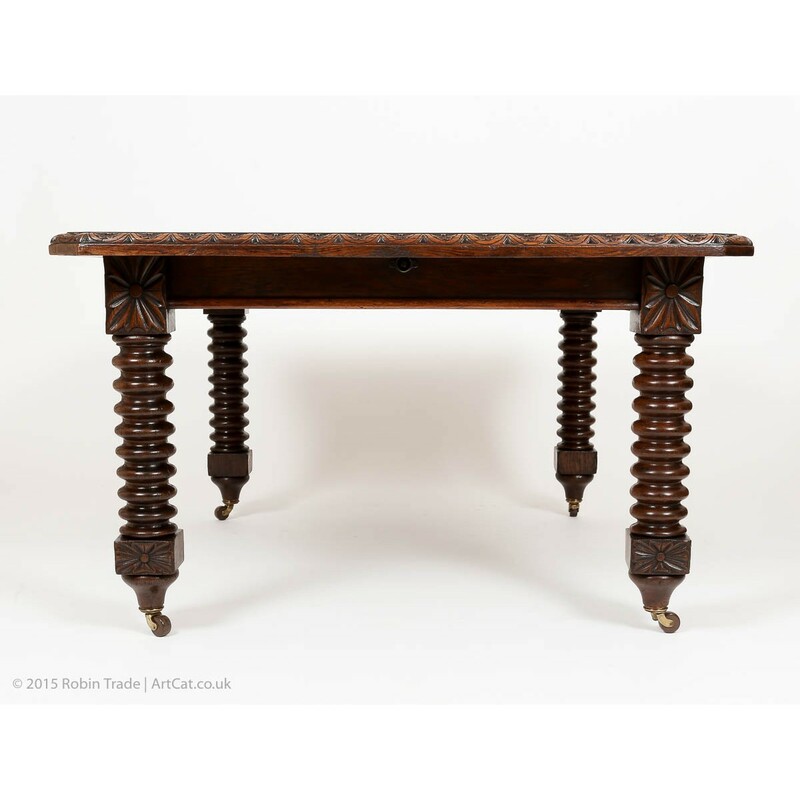 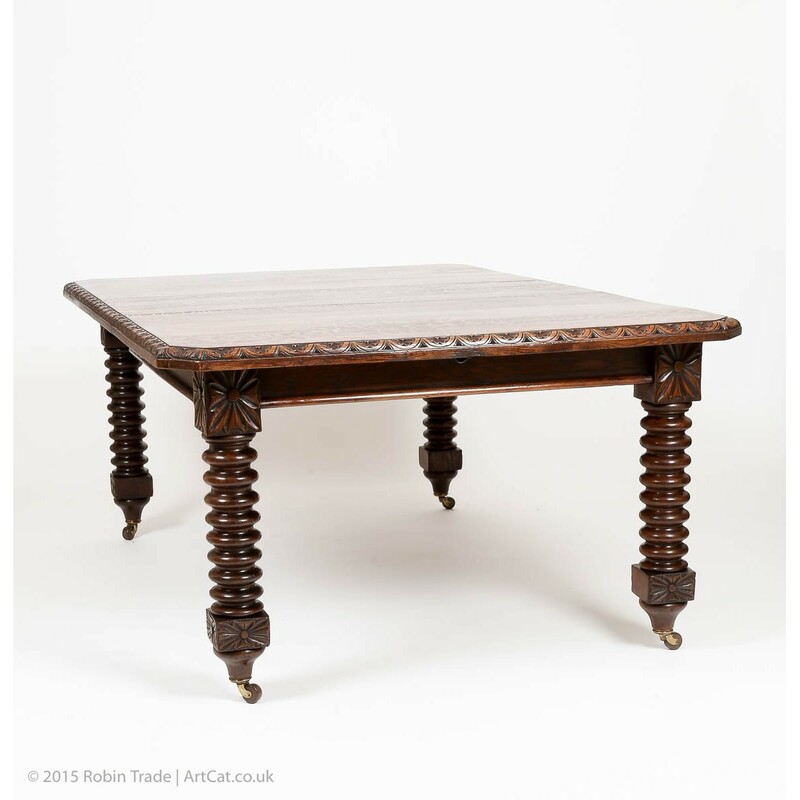 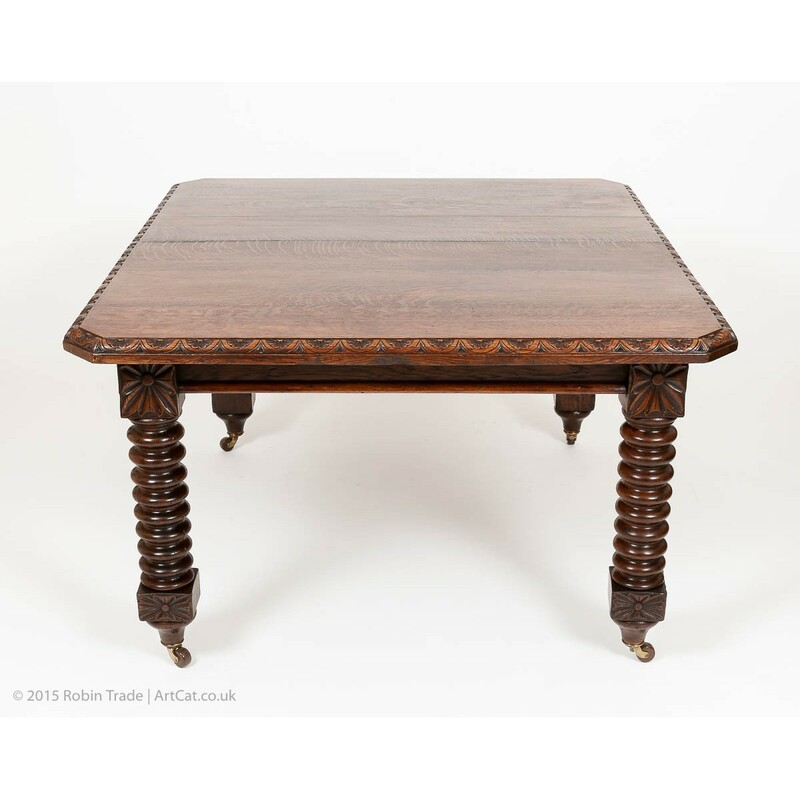 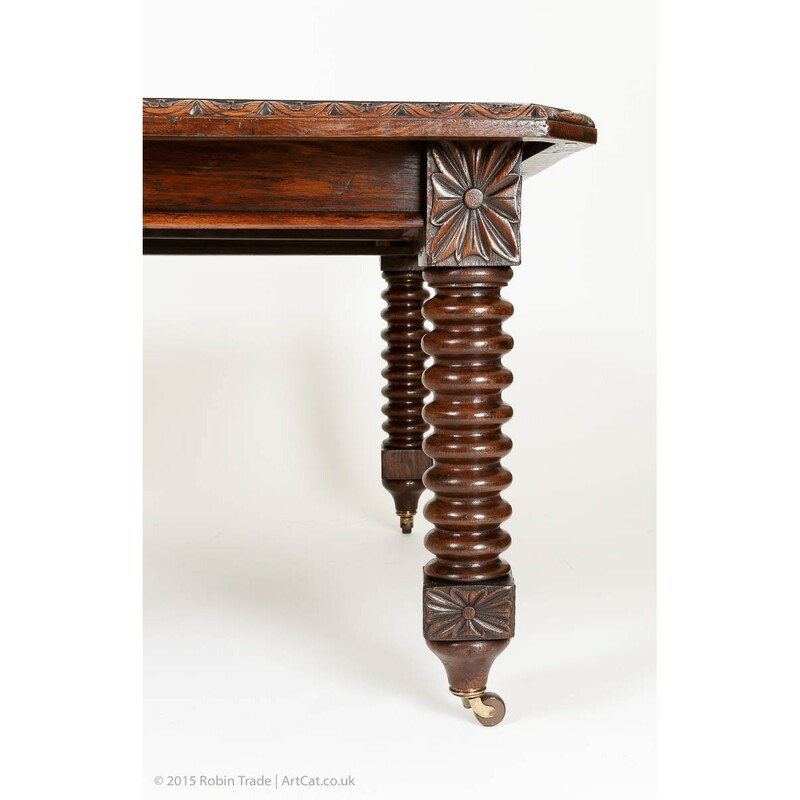 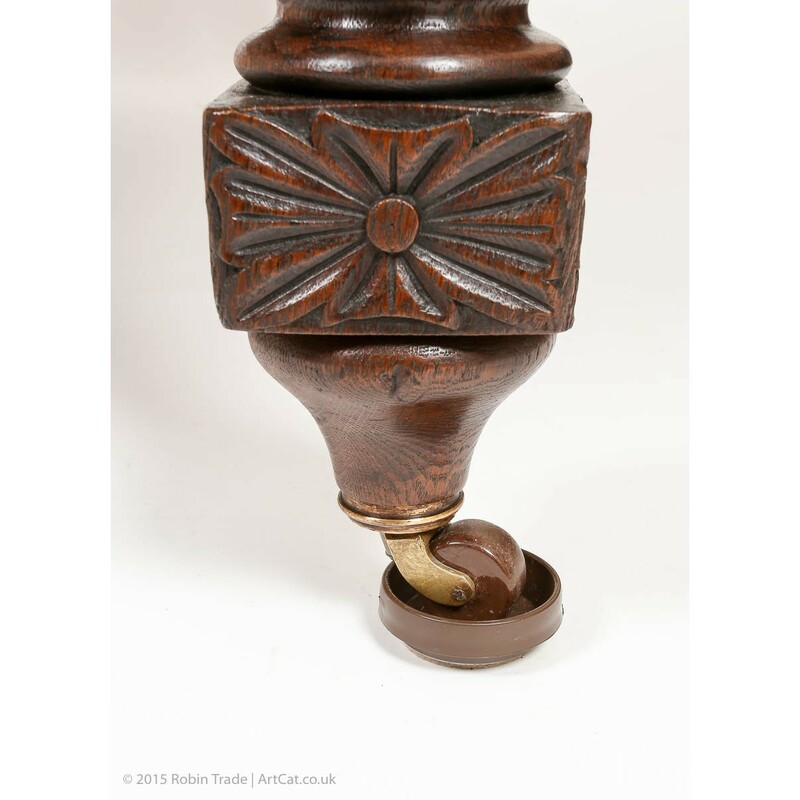 Table legs are nicely turned, table top has elegant border carving and nice pattern. 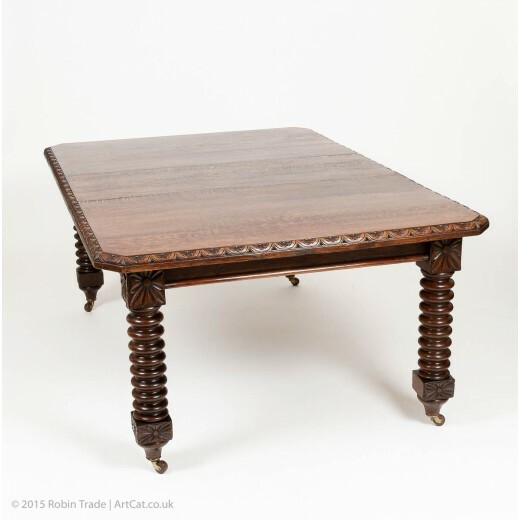 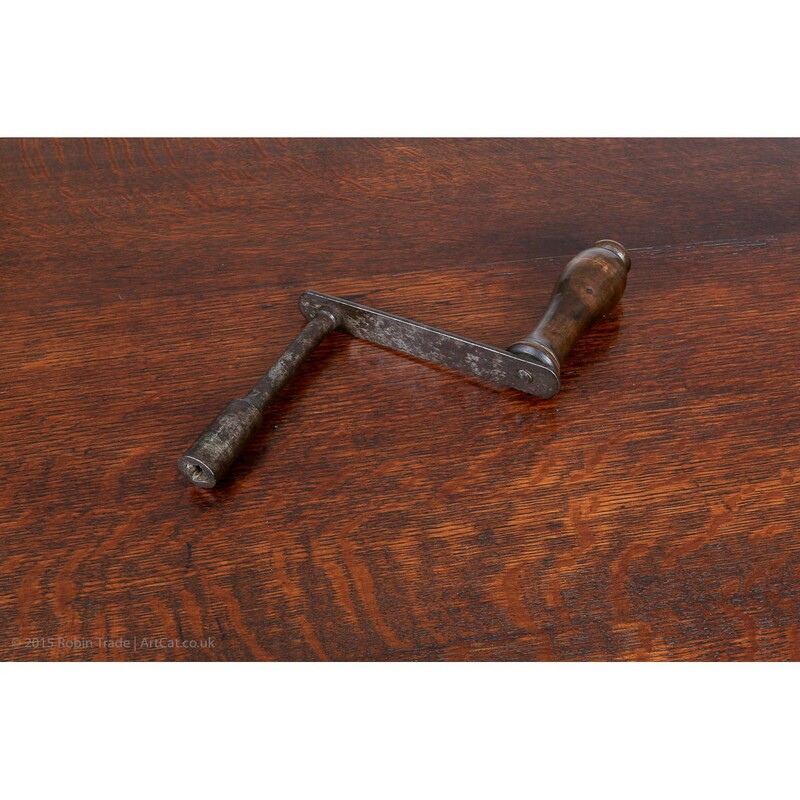 The table was sympathetically restored using a traditional restoration method and then given several coats of wax for long lasting surface. 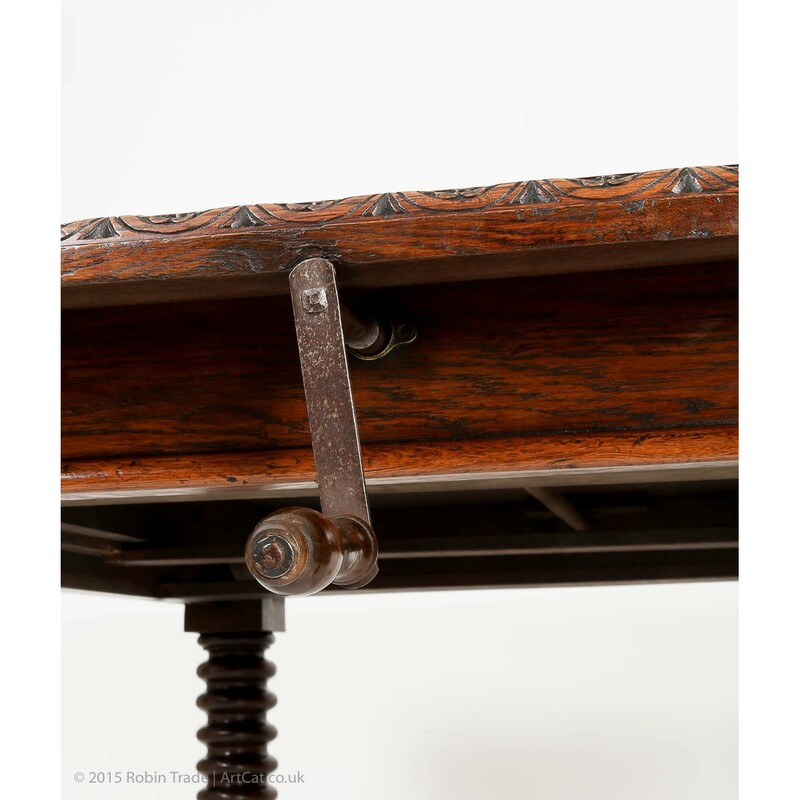 It comes complete with its original winding handle and single leaf (can comfortably sit up to 8 people). 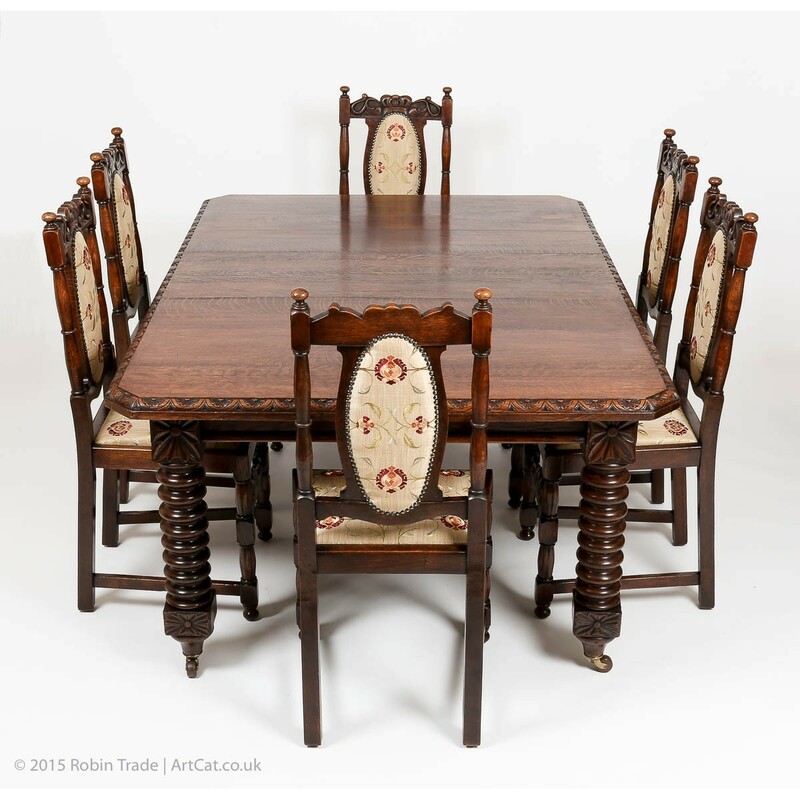 Please also see our next listing - a Set of 6 Edwardian Oak High Back Dining Chairs which would match Victorian Carved Oak Wind Out Extending Dining Table very well (see last photo).